The Blinn College-Schulenburg Campus invites the community to hear from a nationally recognized documentary filmmaker regarding the representation of politics on film. Dr. Paul Stekler will speak to students and guests at the Blinn-Schulenburg Campus on Tuesday, March 26. He will speak to Professor Brian Cravens’ federal and Texas government students before opening the discussion to the public from 1:30 p.m. to 3 p.m.
“I look forward to discussing the idea of representing politics on film in a way that is watchable and entertaining, but at the same time gets people to think about our political and democratic system in a deeper way,” Stekler said. Stekler has worked on films about American politics for 20 years and is a professor of radio, television, and film at The University of Texas at Austin. His films have won two George Foster Peabody Awards, three Alfred I. duPont-Columbia University Journalism Awards, three national Emmy Awards, and a special jury prize at the Sundance Film Festival. In Blinn’s government class, Stekler will speak about his 2004 documentary, “Last Man Standing: Politics, Texas Style,” discuss the power of filmmaking to tell compelling and nuanced political stories, and share his experience and insight on Southern and Texas politics. “Our students are excited to have someone of Dr. Stekler’s caliber whose body of work shows that politics isn’t just a narrative told on the nightly news or on social media in digestible sound bites, but a definable story with a beginning, middle, and end that impacts voters and nonvoters alike,” Cravens said. In the open session, Stekler will show three short films about Latino turnout in Texas, the challenges of corralling votes on the Senate floor, and the legacies of journalist Molly Ivins and former Texas Gov. Ann Richards, all followed by a question-and-answer session. 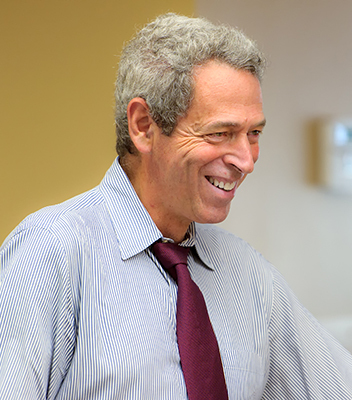 Stekler holds a doctorate in government from Harvard University, where his work focused on Southern politics. He previously was a political pollster in Louisiana while teaching at Tulane University, and was the founder of the Center for Politics and Governance at the University of Texas’s LBJ School of Public Affairs. Stekler’s critically appraised and award-winning work includes “George Wallace: Settin' the Woods on Fire;” “Last Man Standing: Politics, Texas Style;” “Vote for Me: Politics in America,” a four-hour PBS special about grassroots electoral politics; two segments of the Eyes on the Prize II series on the history of civil rights; “Last Stand at Little Big Horn” (broadcast as part of PBS's series The American Experience); “Louisiana Boys: Raised on Politics” (broadcast on PBS's P.O.V. series); “Getting Back to Abnormal” (which aired on P.O.V. in 2014); and 2016’s “Postcards from the Great Divide,” a web series about politics for The Washington Post and PBS Digital. For more information about the Blinn-Schulenburg Campus, visit www.blinn.edu/schulenburg.